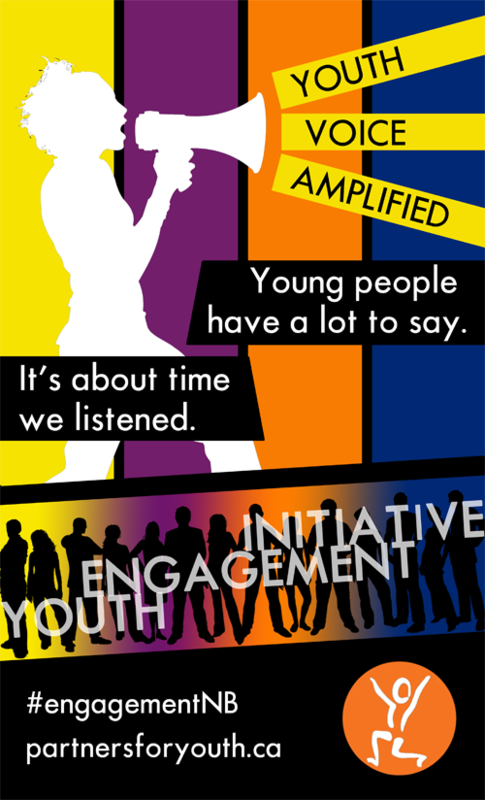 Originally envisioned and developed by the provincial Department of Health, the Youth Engagement Initiative involves two key components: the development of regional youth leadership groups and the delivery of full-day youth forums. Each year, new regions are selected as target areas for program delivery. On a regular basis starting in the fall, members of regional leadership groups are guided through a series of workshops and activities aimed at planning a youth forum for their region the following Spring. Each of these planning sessions seeks to promote leadership skills and feelings of self-efficacy in leadership participants. The result of all the hard work put in by the regional leadership groups, the youth forums are one day conference events that invite youth and adult supporters from various fields to participate in discussions and workshops on important social topics of the day. Given the topics themselves are decided by leadership group members, they are always different based on the region and youth involved. The bulk of our participants at the forum are between the ages of 15 and 21 years old. That said, we will also invite adult supporters and professionals whom we feel should be a part of this conversation. Space is limited however, and we will be prioritizing youth and adult supporters who are attending with youth. All youth participants must have an adult supporter with them at the forum. In the case of larger groups, one adult supporter is sufficient for a group of youth.